Every year from the Bihar board BSEB many lakh’s of students participate in the examination. After participate in BSEB Inter exam and Matric exam students need to know many things. This year BSEB made some changing in this year. First of all here talking about Bihar board intermediate/Matric registration link provided to School/ Intermediate students. While inter 2017 registration lot’s of mistake find in the student’s name/Mother’s Father’s name. Many other mistakes also find in Bihar board 12th registration as like cast category, religion and email and Aadhar & Mobile number. What to do now for correction know From the below links. Many other mistakes also find in Bihar board 12th registration as like cast category, religion and email and Aadhar & Mobile number. What to do now for correction know From the below links. Bihar School Examination Board (BSEB) Patna official website from correction and other registration and complaint details is given. Students need to contact for that. BSEB is the organisation which manage the secondary and higher secondary Schools in the Bihar. Students who study in 10th or Intermediate contacts and searching the Bihar board toll-free no, bseb contact details, bseb helpline no & BSEB Student helpline number. Recently it is the good news for the students who want to make the correction in 10th registration Card. Name of the students, Father’s name or mother name then you can contact your schools. correction in Matric registration if any mistake link is open till 4th April 2016. As soon you can contact your schools. Schools/Colleges can contact on below person for any more information. (PIN-800017) Phone No.- 0612-2226926 Fax No.-0612-2222575. You got college & stream as per your first choice, Hence it is some complicated now. But you can contact your respective school where you have already taken admission to change stream if there is a vacant seat in the science stream. Sir mera 10th ka admit card kho gya hai. Sir maina 2015 me exam diya tha. Ab kya kara sir mujha fir se admid card lena hai. 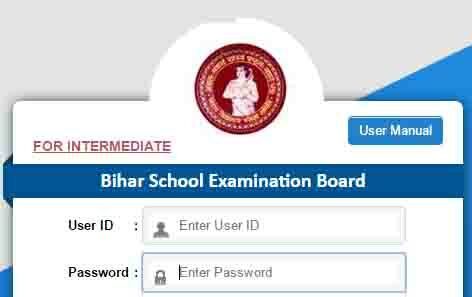 Which is the official ( Email ID ) of Bihar Board. Sir please reply , please don’t ignore. Have provided the helpline number only for formality?? It seams because no one answer over the call. I have tried all the no. available here. But no response over single no. Sir,Mera intermidiate ka registration pechhle saal chut gya tha aur isbar abhi nahi ho raha to kaise hoga sir ab mera is saal registration hoga ki nahi sir please replay sir don’t ignore it sir. If you have taken admission this year through the BSEB OFSS then you can make registration. The last date is 26/12/2018. My roll code is 7103 and roll no.is 0113. In my 1st year reasult in math (external) F-7 is written ABF. I was present in that exam.Diet shahpur(Begusarai) also sent you that. I was a trainee in DIET SHAHPUR(BEGUSARAI).My session was 2015-17. Therefore I request you to remend my result.I will be great full to you forever. Main TET pass ek student hun. Mere pass Bihar ki siksha pranali m Kuch badlab krne ka ideas h. Jisse Bihar ki siksha me char Chand Lagne ki samvanayen bahut badha sakti h or hamara Vihar ka result no. 1 ho Sakta h . Or hum bihari hone par Garv Kar Sakta h kyonki hamere bachee future mein bihari hone par carpet Garv Kare . Ideas Meri vichhar aapke. Ek bar jarur denkhen . OK hone per PDF ya video me madhiyam se send karunga.